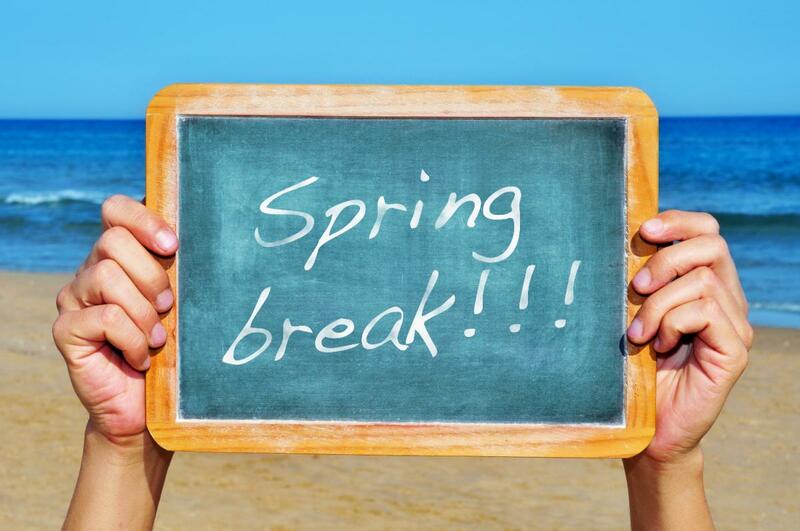 There are few breaks during the school year that lend themselves to limitless fun like spring break, especially in Florida with its sunny weather and top-notch attractions. Take advantage of this perfect scenario by grabbing the kids and checking out these family-friendly spring break ideas in Tampa. With over 1,600 animals, there’s plenty to see at the newly-renamed ZooTampa at Lowry Park. The popular Tampa zoo also boasts water play areas, rides, and shows as well as restaurants. Kids will also enjoy going to educational camps and Zoo School during spring break in Tampa; they’ll have so much fun that they won’t realize they’re still learning while they’re out of school! The whole family will have a blast over spring break in Tampa at Q-ZAR playing a fun, thrilling game of laser tag in a 70,000 cubic-foot arena with obstacles and mazes. After running around shooting lasers at each other, take a breather and enjoy delicious pizza before hitting up the arcade. Now is the perfect time to play laser tag with the family as Q-ZAR is running a spring break special of unlimited laser tag for only $19.95 up to six hours, and if you buy two games of laser tag, you get an additional laser tag game for free! Head off to the races this spring break at Grand Prix, your one-stop destination for all kinds of fun including go-kart racing, batting cages, miniature golf, bowling, paintless paintball, arcade games, and more! Young and old, everyone can enjoy their favorite game or pastime at Grand Prix in Tampa. Put your sleuthing skills to the test at Rabbit Hole Escape Games where you and your family must solve riddles and puzzles to escape a locked room before time runs out. This unique activity is best suited for children ages 10 and up, but everyone will enjoy the two Big Foot-themed escape rooms over spring break. Related content: Can You Free Yourself From the Best Escape Rooms in Tampa? As you can tell by its name, this museum is geared toward kids with interactive exhibits, games, and challenges designed to help them learn through discovery and play. Glazer Children’s Museum is best suited for children 10 years old and under, including infants and toddlers! You wouldn’t think of going to Ybor City with your family during spring break in Tampa, but GameTime’s mega arcade is a family-friendly fun zone full of games everyone will love including retro classics, arcade favorites, and ride simulators. They also have a restaurant and sports bar with an extensive menu that’s sure to please even the pickiest eaters in the family. Are there any Finding Nemo fans in the family? They’ll love visiting The Florida Aquarium during spring break in Tampa as it's one of the world’s top aquariums with over 10,000 aquatic plants and animals. The aquarium also offers Aquacamps for kids where they can encounter sea animals, participate in science experiments, explore the aquarium, and play at the Splash Pad! Have fun playing and jumping around at Sky Zone, the world’s first indoor trampoline park. Your kids will definitely burn some energy here over spring break and enjoy jumping into a pit filled with 10,000 foam cubes. Keep in mind jumping on trampolines is best suited for older children, and the activity requires adult supervision. Not quite ready to go skydiving from a plane this spring break? That’s OK because you and your family can get the same thrill from going to iFly, Brandon's indoor skydiving facility. Just about anybody can go skydiving here, but be sure to check their website for disclaimers and more information. Do you have a sense of adventure? Bring the family to TreeUmph over spring break and tackle Tarzan ropes, net swings, ladder bridges, and more at the most exhilarating tree obstacle course in Florida. Now through April 6, save 20% at Treeumph with promo code Spring18! Whatever your family’s lifestyle or interests, these family-friendly spring break ideas in Tampa make for a fun, adventure-filled week out of school. For more things to do with your family, register on 813area and connect to everything in Tampa Bay.